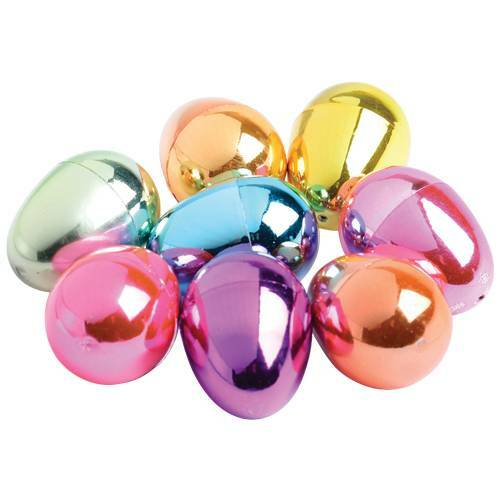 Draw attention to the eggs on the next hunt with these beautifully colored metallic chrome eggs. They pull apart and easily snap together for easy filling. Kids will love collecting these in the next Easter Egg Hunt.